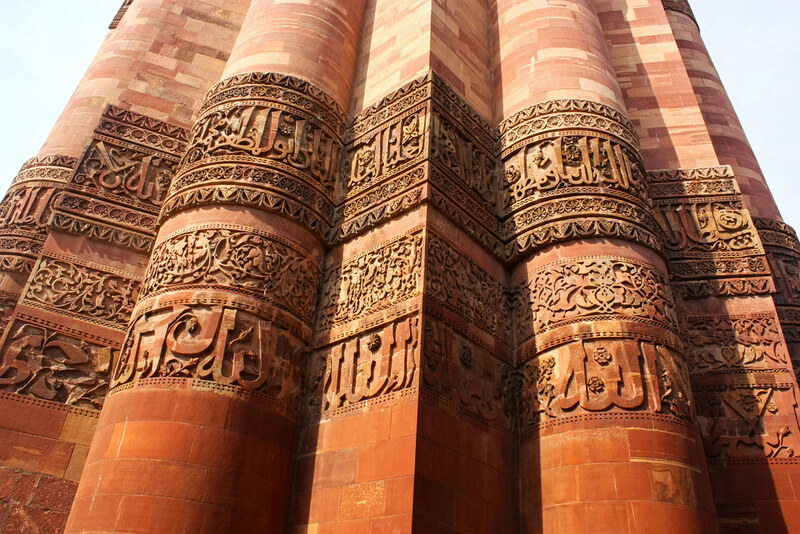 The Qutb complex (Hindi: क़ुतुब परिसर, Urdu: قطب پرِسر), also spelled Qutab or Qutub, is an array of monuments and buildings at Mehrauli in Delhi, India. 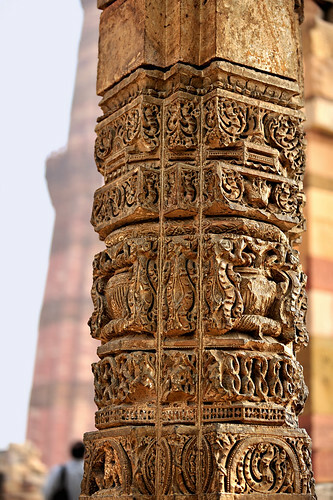 The construction of Qutb Minar was intended as a Victory Tower, to celebrate the victory of Mohammed Ghori over Rajput king, Prithviraj Chauhan, in 1192 AD, by his then viceroy, Qutbuddin Aibak, who later became the first Sultan of Delhi of Mamluk dynasty. After the death of the commissioner, the Minar was added upon by his successor Iltutmish (aka Altamash) and much later by Firoz Shah Tughlaq, a Tughlaq dynasty, Sultan of Delhi in 1368 AD. 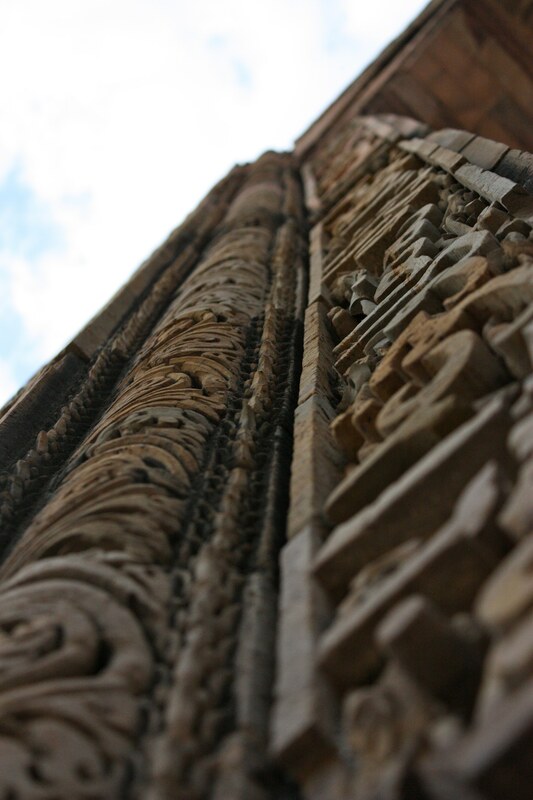 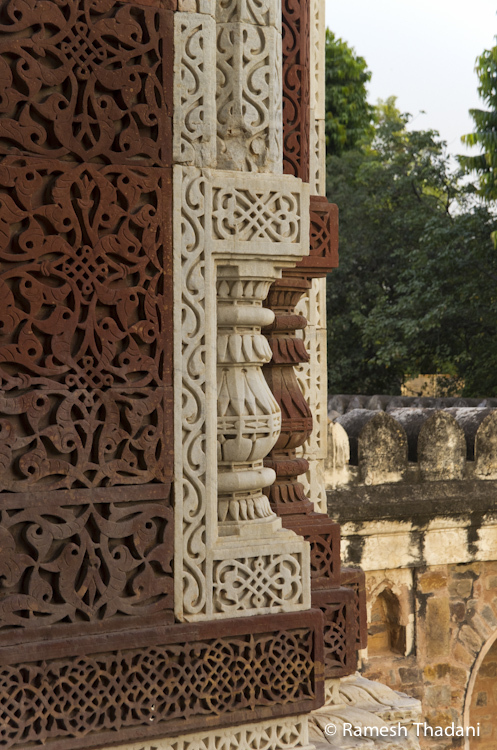 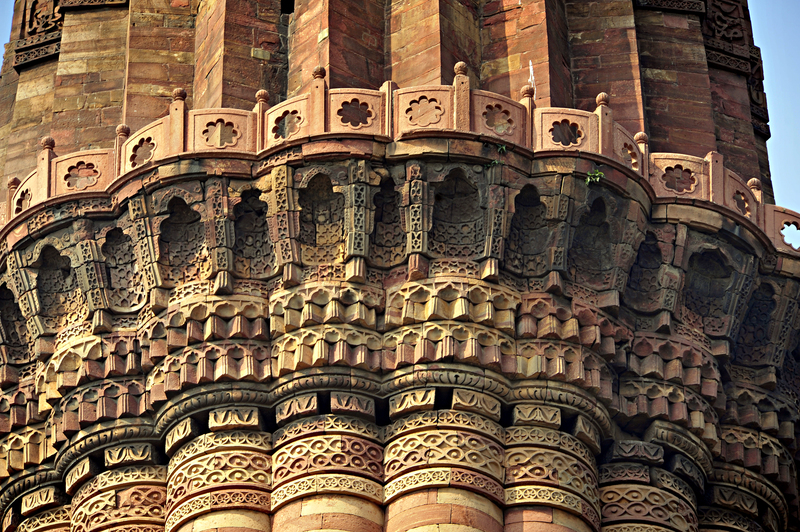 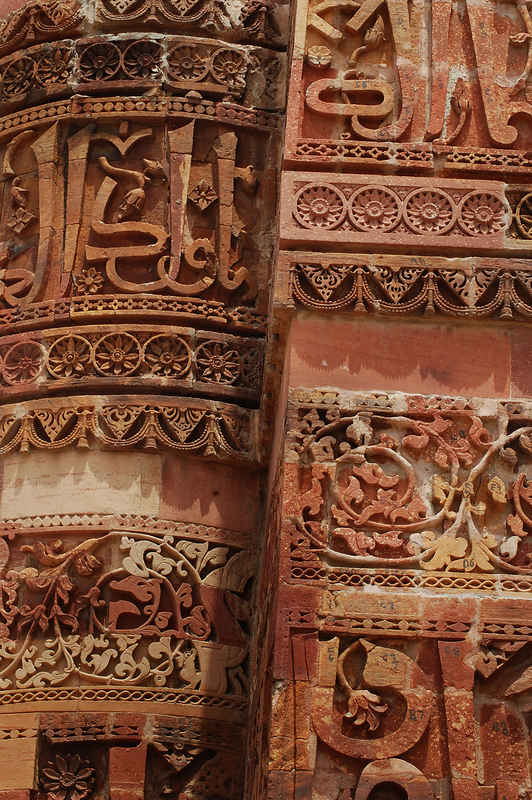 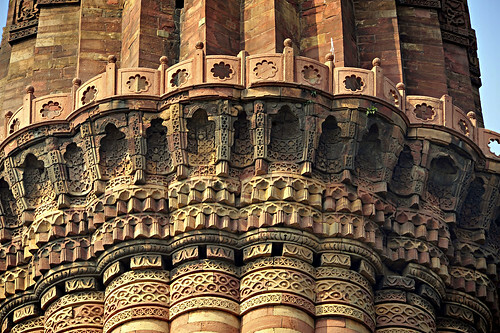 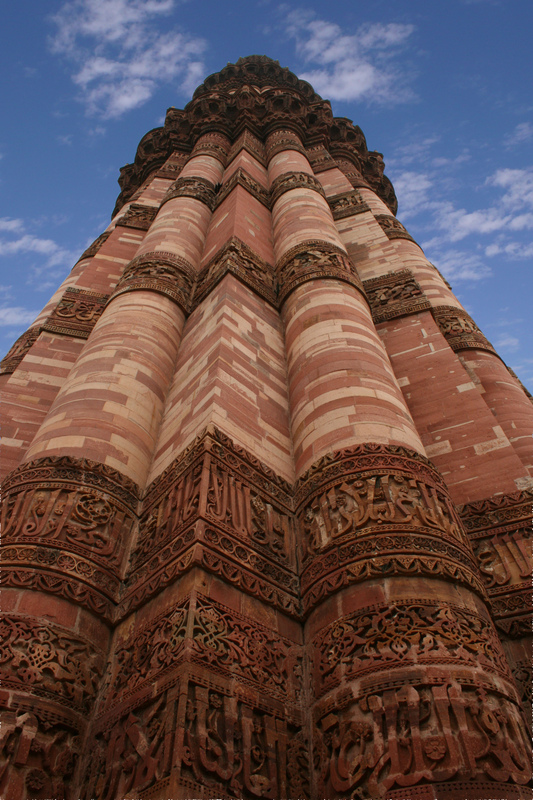 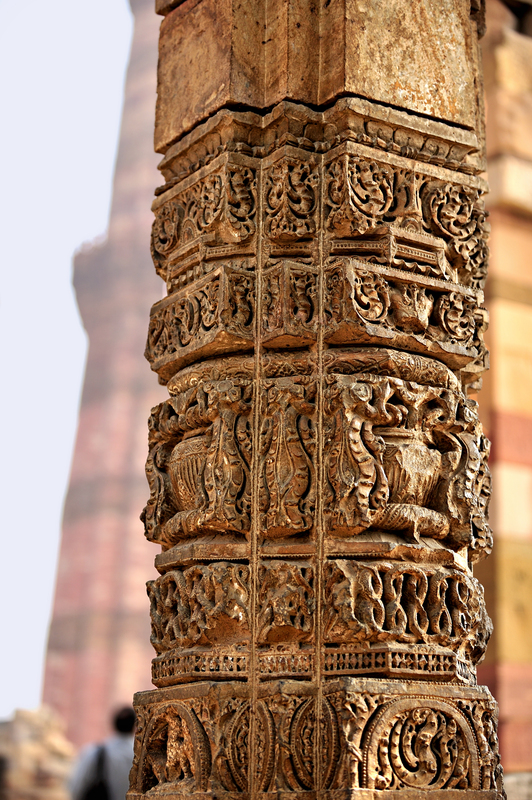 Qutb Minar is perhaps the tallest brick minaret in the world, inspired by the Minaret of Jam in Afghanistan. 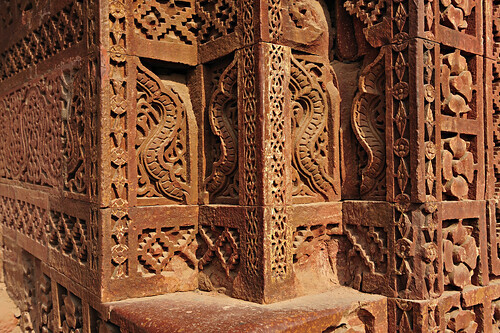 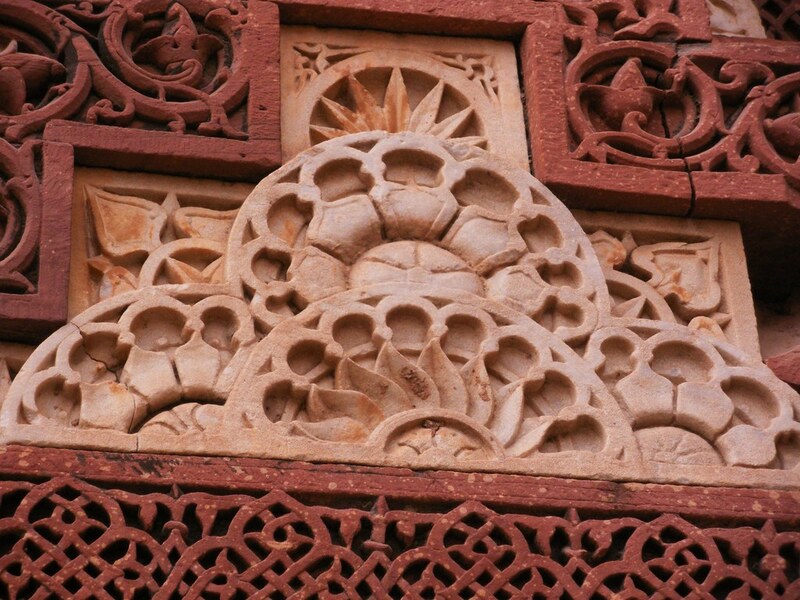 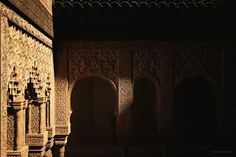 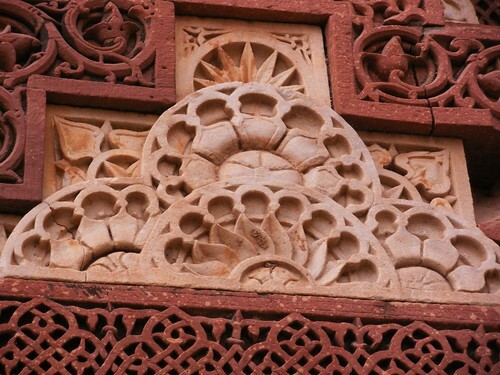 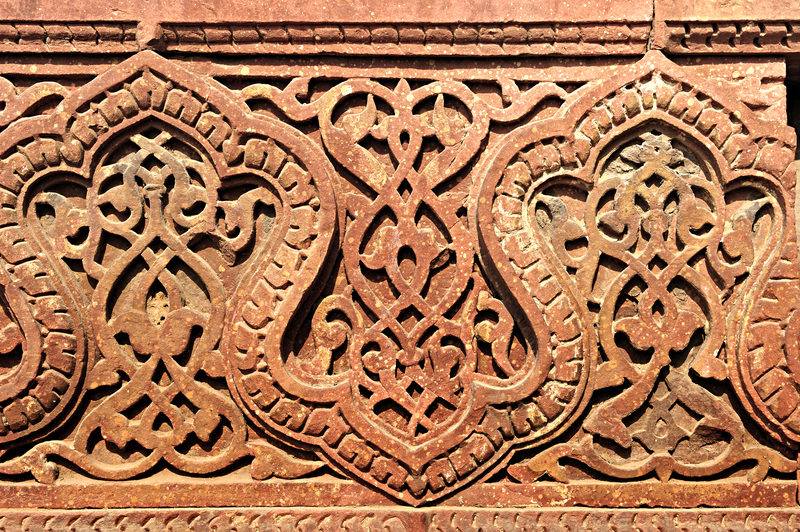 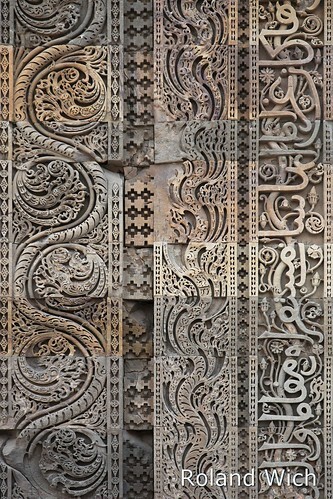 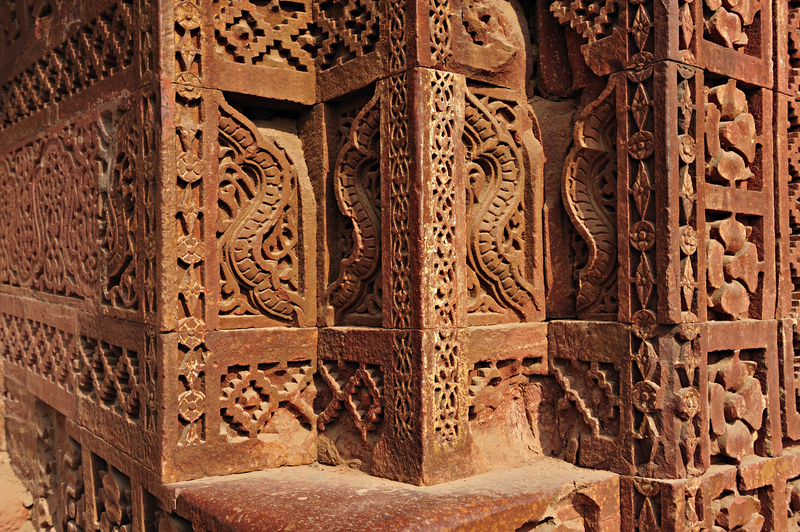 It is an important example of early Afghan architecture, which later evolved into Indo-Islamic Architecture. 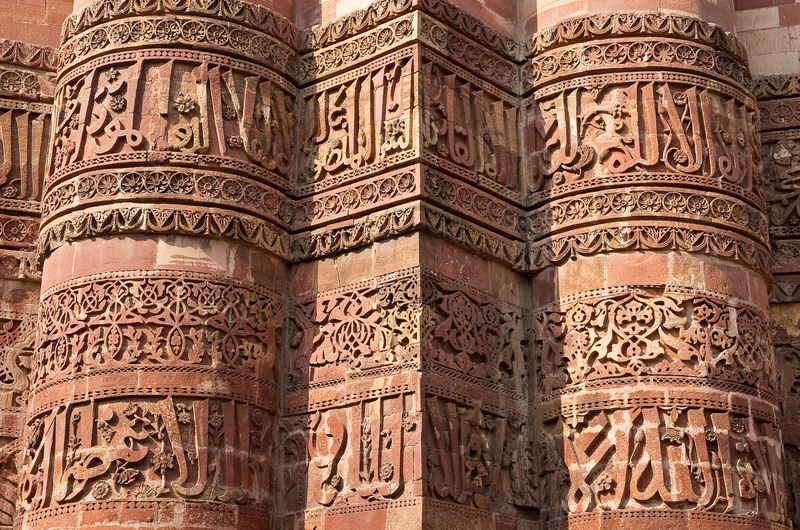 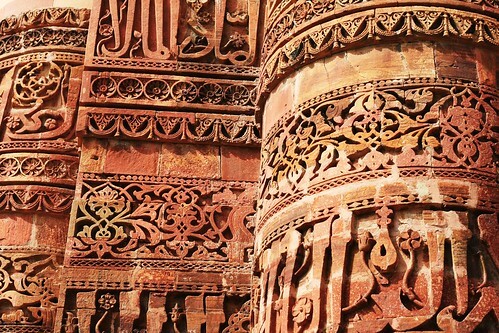 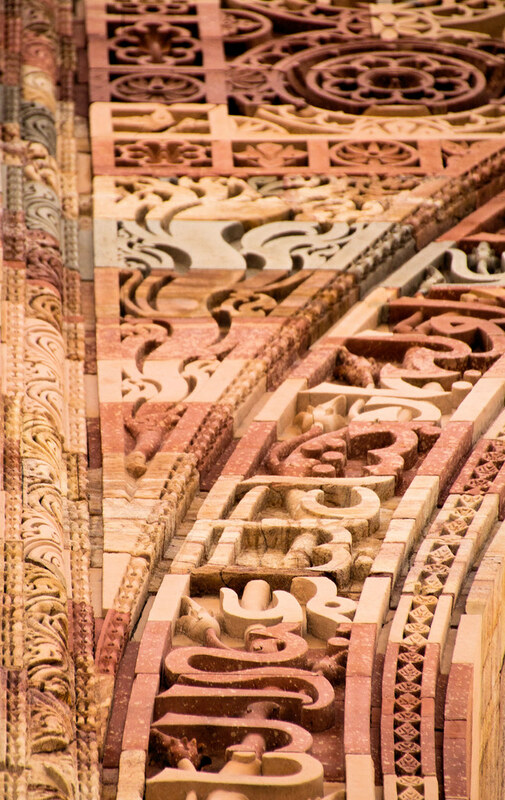 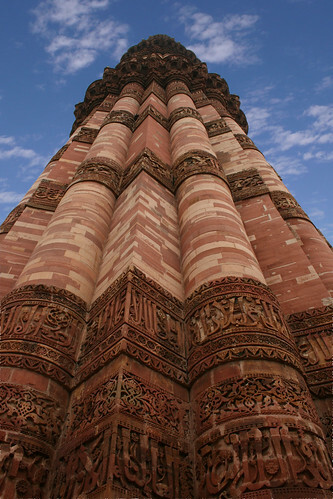 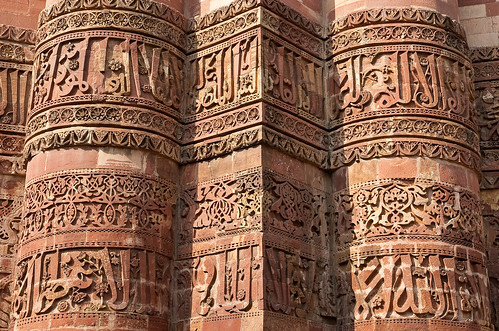 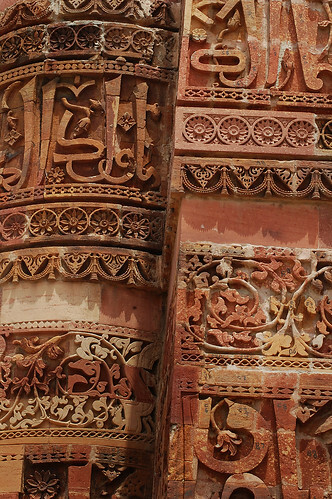 The Qutb Minar is 72.5 metres (239 ft) high, has five distinct storeys, each marked by a projecting balcony carried on muqarnas corbel and tapers from a diameter 14.3 metres at the base to 2.7 metres at the top, which is 379 steps away. 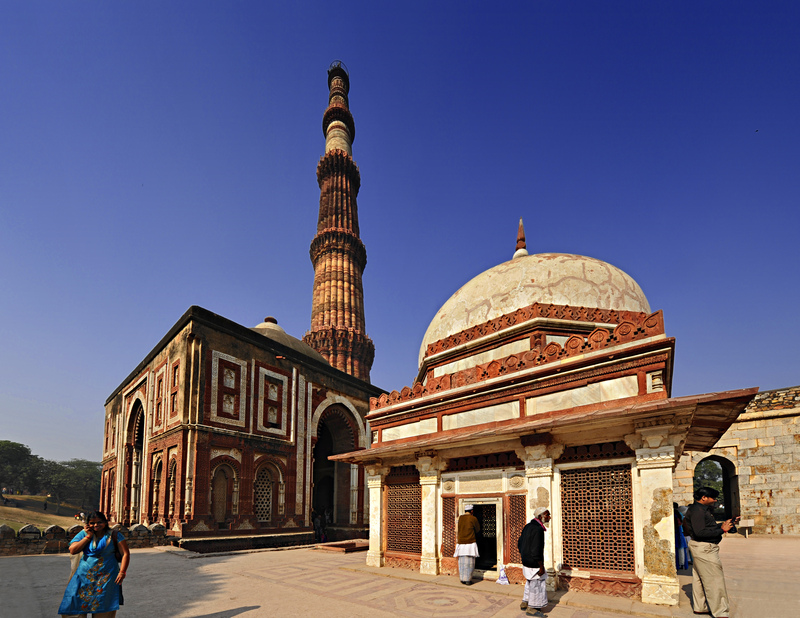 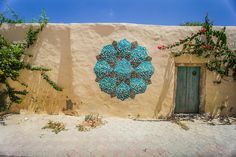 It is listed as a UNESCO World Heritage Site along with surrounding buildings and monuments. 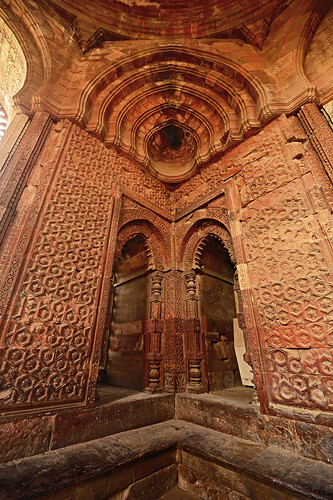 The Alai Darwaza is the main gateway from southern side of the Quwwat-ul-Islam Mosque. 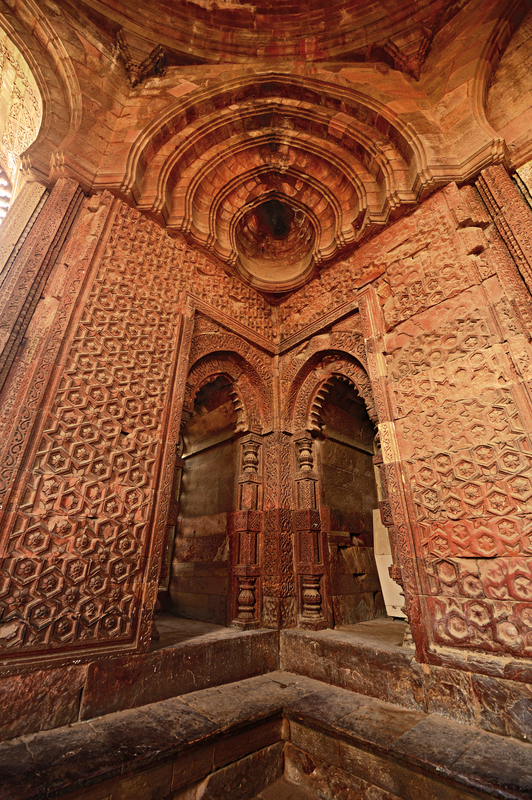 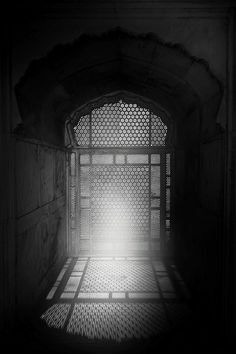 It was built by the second Khilji Sultan of Delhi, Ala-ud-din Khilji in 1311 AD, who also added a court to the pillared to the eastern side. 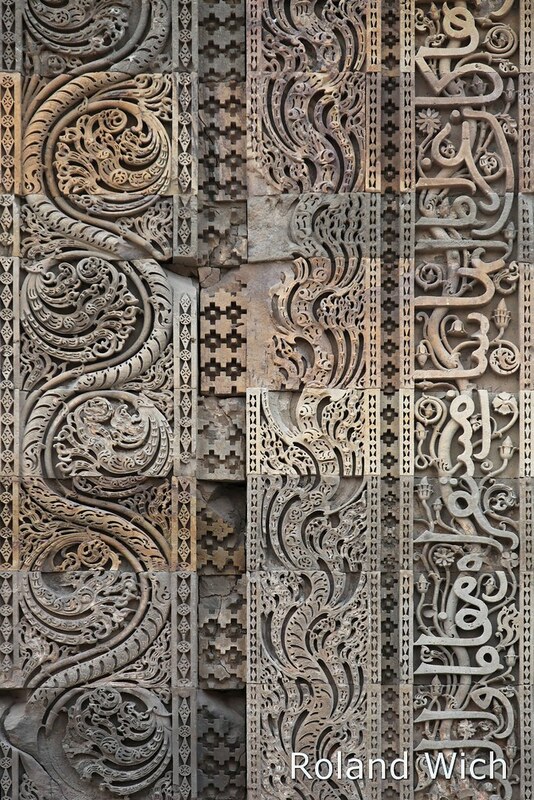 Text Source: Wikipedia. Read in more detail from the original article.